I’ve got a small group of lunches this week because Augie was home sick for two days so it will be short and sweet today. 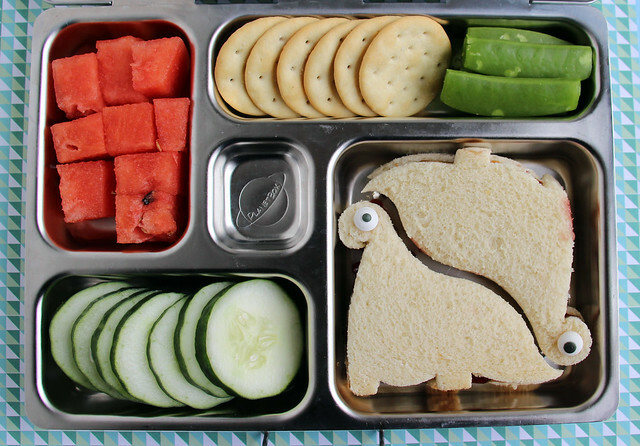 Monday I kept it simple with this PlanetBox lunch to ease on into the week: watermelon chunks, round saltine crackers, sugar snap peas, cukes and a pb&j cut with a dinosaur cutter . I added an icing googly eye to each of the sandwiches to make it a smidge fancy. Augie was home sick so we had chicken noodle soup for lunch. 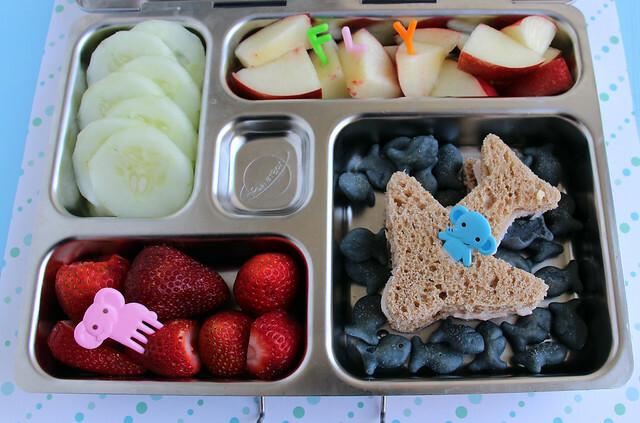 Thursday I packed his lunch in the PlanetBox : cucumber slices, nectarine, strawberries and a turkey airplane sandwich flying in the blue sky (actually blue goldfish crackers). The story with this one was that the blue elephant was flying in the airplane to visit his grandma elephant. To dry the theme home I spelled out “FLY” with alphabet picks that I jabbed into the nectarines. 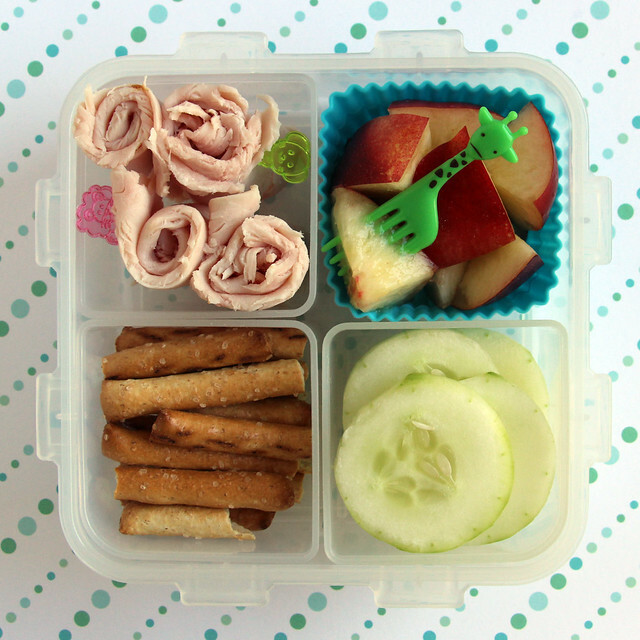 Today I kept it really simple with a lunch I packed in our Lock & Lock box: turkey roll-ups, nectarine chunks, broken pretzels from the bottom of the bag and cucumber slices. I added a grumpy giraffe fork to use to eat the nectarines too. I always wonder why that giraffe is so grumpy when all of my other picks are smiling….